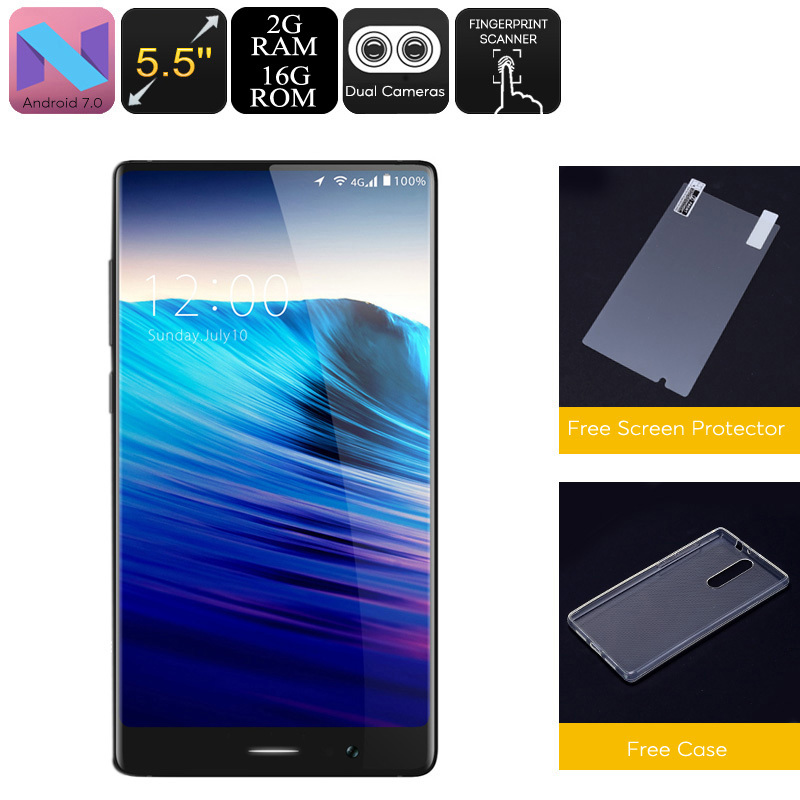 Successfully Added Android Smartphone UMIDIGI Crystal - Quad-Core CPU, 2GB RAM, Metal Body, Bezel Less Display, Android 7.0 to your Shopping Cart. With its breathtaking bezel-less display, the UMIDIGI Crystal truly is a stunning smartphone that is sure to turn some heads. The screen itself is 5.5-Inch in size and supports 1080p resolutions. Thanks to this, you’ll be able to enjoy all your favorite types of media like never before. Without bezels, this Android phone truly has no visual limits. It furthermore features Corning Gorilla Glass 4 and a metal frame so you won’t have to worry about accidentally scratching or breaking this beauty. Within its thin body, the phone packs a 3000mAh battery. This cell brings along up to 20 hours of usage time for you to enjoy. Thanks to its affordable price tag, the UMIDIGI Crystal likely is the best bezel-less Android phone under 120-Dollars. In terms of connectivity, your smartphone comes with 2 IMEI numbers and 4G. This allows you to stay reachable on two phone numbers at the same time and to browse the web at lightning speeds. It furthermore comes with the Android 7.0 OS that lets you enjoy all the latest software features available. No matter your smartphone demands, this Android phone is sure to treat you to an outstanding user experience. Although this Android phone is remarkably sleek, it does pack some powerful hardware. The UMIDIGI Crystal comes with an Quad-Core processor that has been clocked at 1.5GHz. Along with that comes 2GB RAM and 16GB internal storage. This cell phone lets you tackle demanding Apps and Games on its stunning display without dropping a frame. For the excessive smartphone users among us, it supports a 256GB SD card slot. Therefore, you never have to worry about running out of storage space for your media, games, and pictures snapped with the phone’s 13MP Dual-Rear camera. The UMIDIGI Crystal smartphone comes with a 12 months warranty, brought to you by the leader in electronic devices as well as wholesale Android Phones..